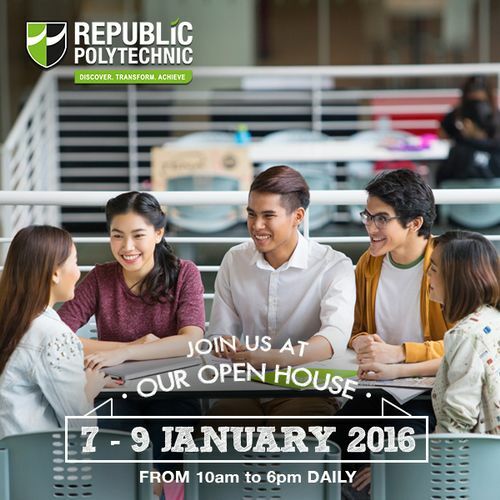 Republic Polytechnic’s (RP) annual Open House is back! Expect an exciting line-up of engaging activities for prospective students and parents at RP Open House 2016, held from Thursday, 7 January to Saturday, 9 January this year. A wide variety of holistic educational experiences are on offer across all of RP’s seven schools. Head down to the RP campus to experience the vibrant student life, explore cutting-edge school facilities, and discover how innovative learning at RP takes students beyond the classroom. Try your hand at racing underwater robots, create your own “living photograph”, be a broadcast reporter for a day, and even combat simulated cyber-attacks, among other fun-filled activities, at each school booth. Mark the date and join us at Open House 2016 from 7 to 9 January to find out more! Career Talk Public Vs Private Sector: Is the Grass Greener?